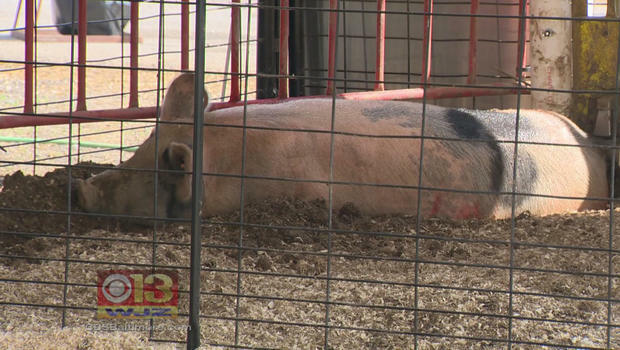 BALTIMORE — A swine flu virus strain was detected in 20 people in Maryland who were in close contact with pigs at two county fairs, CBS Baltimore reports. Many of those pigs are fighting off the swine flu, under their owner’s care, and the watch of the Department of Agriculture. “We’re just kind of waiting it out to see what the results are as far as the remainder of the tests that are pending,” said Karen Crum, the Frederick Fair executive assistant. “We then will investigate to better understand what led to their illness, what kind of contact they had with swine,” she said. It’s been five years since the swine flu last popped up at a county fair in Maryland, CBS Baltimore reported.